If you don’t straighten your hair very often, maybe just every weekend or so, then I think you could do worse than these. 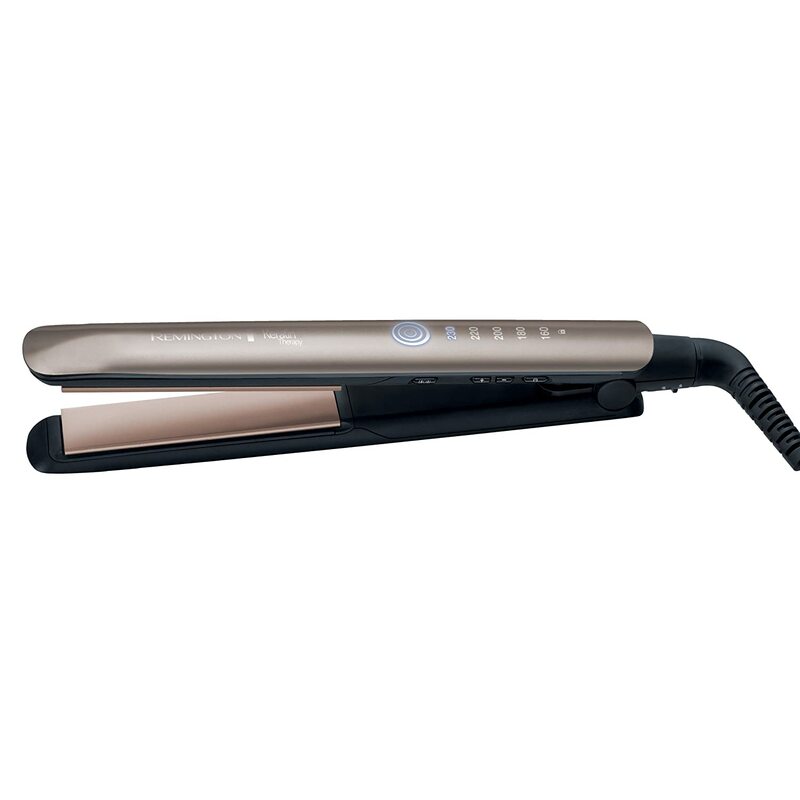 For the price, they definitely leave your hair looking nice and they heat up fast with smooth, ceramic-coated plates. For the straightening obsessed, those who straighten five days a week or more, I would really invest in something better. The Keratin infusion aspect of this design sounds all well and good but it’s not really known how well any ceramic infusions work. In fact, it’s known that a lot don’t. Whether this straightener makes your hair healthier or not, I cannot comment on, but I’d bet that drinking more water and eating more fruit will do a better job. These are cheap, nice to use and have five heat settings. If you’re not looking to invest in the more expensive brands – these are pretty good. Oddly enough, Remington started out yonks ago as a firearms manufacturer and, as you can imagine, their business has varied somewhat. It wasn’t until 1937 that they launched their personal care line and since then they’ve worked up to becoming a renowned household name for small personal appliances. Their hair products have tended to be on the more affordable side and while they aren’t leading the market in technology, they certainly retain a strong reputation for quality goods. 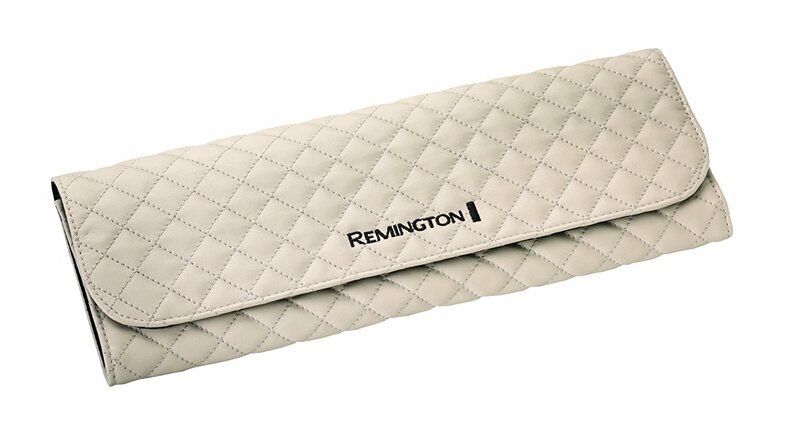 While I like the original no-nonsense design of GHDs, Remington’s products have always struck me as quite classy due to the sleekness of shape and subtle hint of glamour in the designs. This Keratin Therapy straightener is just the same, not flashy at all but it definitely looks pleasing and feminine without being overzealous. The ceramic-coated floating plates of this straightener are 110mm long which is a good length for mid to long hair and are easy to manipulate. The ceramic coating is infused with Keratin, which supposedly helps to protect hair against heat and breakage. I’ve looked into this infusion malarkey and it’s still difficult to tell whether it actually does anything other than just sounding fancy. Still, hair is left looking shiny and glossy – no hint of dull or flatness. With five heat settings ranging from 160 degrees to 230, you should be pretty well covered when it comes to choice. For fine hair, start off with a lower setting to ensure no damage is done and with thick hair, it will be better with a higher setting. Thicker hair will take considerably longer with these narrow plates but it’s by no means difficult. 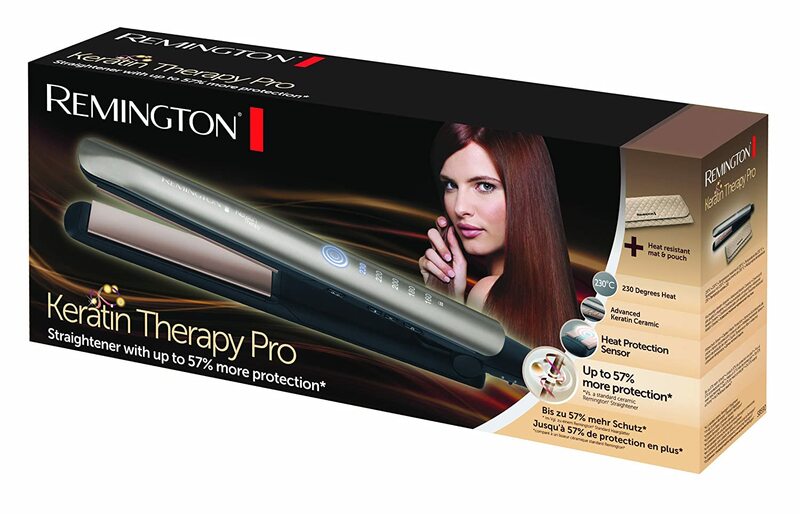 As with most modern hair straighteners, this Remington design features a auto-shutoff for safety. It will shut off after 60 minutes of non-use, which to be honest, I think is a bit too long. Since the plates don’t take long to heat up, surely a 30 minute shut off would make more sense. An interesting feature to note with these is that they have an Intuitive Heat Sensor that senses the moisture content in the hair and adjusts the temperature accordingly for optimum effectiveness. That sounds pretty good but I’m a bit dubious as to whether you can trust them to do such a thing – hair comes in many different conditions and types and it seems unlikely that these can handle it automatically, it’s just too generalising. Before you know though, it there’ll be more technology in your hair straighteners than in your laptop! While it is possible to use these for waving the hair, I wouldn’t really rely on them for it if your want more of an all-rounder. There are plenty of other straighteners out there which curl quite happily as well but these just aren’t the right shape and size for it. Although Remington have a decent middle ground reputation, I do note that there have been some misgivings about the longevity of these straighteners. Buying hair straighteners is a stressful endeavour by itself without one having to repeat the process every ten months or so. The casing and quality is all right but it doesn’t feel high quality compared to GHD or Cloud Nine and I personally like to invest in products that I can reasonable expect to last a long time. Nevertheless, with the very well designed heat resistant pouch/mat and the price, I think most people would be quite happy with these. I would really consider how much use you’ll get out of them before making any firm decisions.